Considering I dedicated a whole post to lamenting about people being more focused on discussing the stinger in the end credits of The Wolverine rather than the film, it only seems right that I adhere to my own advice and try to turn the conversation back to the film itself. After spending the last few months immersing myself in all things Wolverine, both the films and the comics, to prepare for my Comix Asylum article (available now…shameless plug over), I feared I might have suffered from Wolverine overdose prior to seeing James Mangold’s The Wolverine. Yet here I stand relatively eager to follow everyone’s favourite surly mutant on a few more adventures. This is quite a contrast to where I was after watching X-Men Origins: Wolverine a few years ago. The big difference is that you can tell early on in this film that everyone involved had a hunger to get it right this time around. You can especially see it in the intensity of Hugh Jackman’s performance. Despite being his sixth outing playing the Wolverine character, he arguably delivers his best work in the role to date. This is the version of the character that fans have wanted to see for years. Despite some very rocky moments in the latter half, more on that in a minute, the film exceeded my meager expectations on several levels. Loosely based on the popular comic series by Chris Claremont and Frank Miller, this chapter of the Wolverine saga finds our hero, James “Logan” Howlett (Hugh Jackman), haunted by his own immortality. After spending years watching the people he loves die, most notably fellow X-Men Jean Grey (Famke Janssen) who still appears in his dreams, he has resolved to no longer be a soldier. Living the life of a pacifist proves difficult though when a mysterious woman, Yukio (Rila Fukushima), informs Logan that he has been summoned to Japan at the request of an old acquaintance. Yukio works for Ichirō Yashida (Haruhiko Yamanouchi), the dying CEO of one of the largest tech companies in Japan. Ever since Logan saved his life when America dropped an atomic bomb during the war, Yashida has spent his life building his empire while keeping a close eye on Logan’s life. Knowing that immortality has become a curse for Logan, Yashida offers him the opportunity to transfer his mutant abilities. This would finally allow Logan to grow old and die naturally, while providing Yashida a chance to live on. 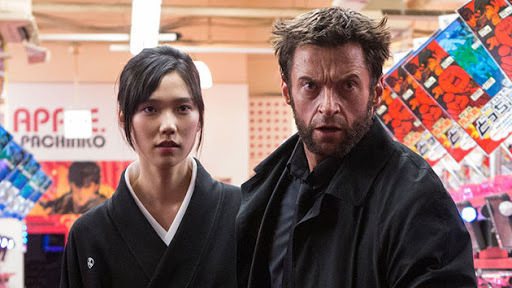 Rejecting Yashida’s offer, Logan inadvertently sets off a chain of events that will not only threaten his life, but also the life of Yashida’s granddaughter Mariko (Tao Okamoto). When a gang linked to the Yakuza attempts to kidnap Mariko at Yashida’s funeral, Logan takes it upon himself to be her protector until he can figure out who is behind the attack. Unbeknownst to Logan, Mariko is set to inherit Yashida’s entire empire three days after his death. This does not sit well with several different people, including Mariko’s father Shingen (Hiroyuki Sanada), who all want a piece of the company’s wealth. Complicating things further for Logan is the fact that his mutant healing powers are not working like they use to. Unknowingly poisoned by the mutant known as Viper (Svetlana Khodchenkova), Logan struggles to keep Mariko safe while coming to terms with his own mortality. In a weakened state, Logan must uncover the role that Viper plays in all of this; including her link to a ninja clan led by Mariko’s former lover, Kenuichio Harada (Will Yun Lee). By focusing more on the man and less on “the mutant”, The Wolverine excels quite well for the first two acts. Mangold’s film plays more like a detective mystery rather than a standard superhero film. Many of the strongest moments of the film come when Logan’s claws are not on display. 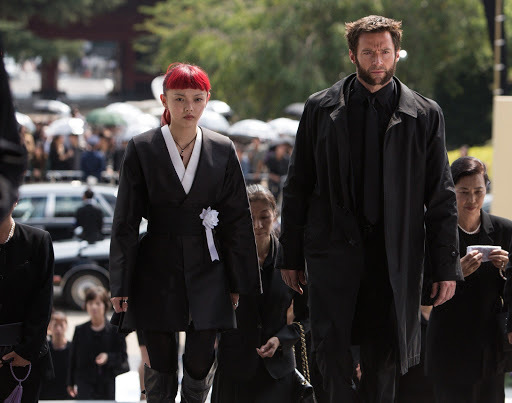 The scenes where Logan and Mariko are by themselves, while on the run, play far better than expected. The same goes for the quieter moments in the Canadian wilderness, which does a nice job of setting up Logan up as a tortured soul. Despite being a big budget superhero film, the story feels refreshingly small and contained. This is not to say that the film does not contain moments of spectacle though. The action sequence on the bullet train is inventive and fun. Mangold could have gone much bigger with the scene in terms of scope, but ensures that the sequence never overstays its welcome. While the train scene is the “money shot” of the film, it was actually the sequence at Yashida’s funeral that impressed me the most from an action standpoint. Mangold keeps the film relatively grounded by framing the action in a rather plausible way, or at least as plausible as you can get in a superhero film. I particularly loved how Mangold kept ninja archer Harada in the frame of several shots, even if he was only in the background. However, it is no coincidence that when Mangold attempts to play things big, the film stumbles greatly. This is the most noticeable in the third act which involves the Silver Samurai. Not only is this the most comic book-esque portion of the film, but it is also the most muddled from a story standpoint. The Wolverine spends so much time trying to build up the mystery, by juggling several different subplots, that it does not know how to tie everything together in a coherent package. The last act suffers from having too many villains and not enough motivation. If you really think about it, there are four different characters (Shigen, Viper, Harada, and Silver Samurai), who assume villainous roles to varying degrees over the course of the film. While the source material managed to balance the layered villainous intrigue in a coherent fashion, all the villains in The Wolverine feel like mere henchmen. Of the four, only Viper had the chops to be a truly menacing main villain. However, we learn so little about Viper’s powers that she ultimately comes off as a glorified Bond girl who oozes sexuality and very little else. This brings me to my biggest complaint with the film, the lack of character development amongst the female characters. If you consider the number of superhero films that have been released in the last five years, The Wolverine is the only one to feature such a high number of female characters in prominent roles. Sadly The Wolverine drops the ball instead of taking advantage of this. The film spends most of the time establishing Mariko as both the damsel in distress and the love interest that you never get the sense that she is capable of running a billion dollar corporation. Heck, she is not even wise enough to realize that she cannot outwit the Yakuza on her own. However, Mariko’s handling is not as egregious as the way Yukio is left out to dry. While the film does a good job of establishing Yukio’s connection to Mariko, and her skilled fighting ability, she is ultimately left on the sidelines to watch things play out. There are several moments in the film, especially towards the end, where Yukio’s fighting skills would have been beneficially both to the story and the action in general, yet she pretty much disappears for a good portion of the film. Despite the almost damaging final act, there are enough positive aspects to take away from The Wolverine. Jackman’s performance coupled with the detective mystery approach to the film’s first two acts more than makes up for the film’s shortcomings. Considering how poorly X-Men Origins: Wolverine was, it is nice to finally have a Wolverine film that we can sink our claws into.